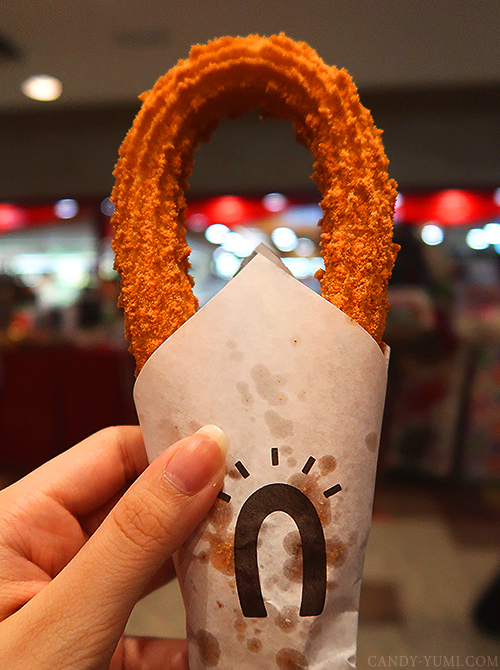 #Candy Gets Hungry #7: Best affordable Churros in KL – A Street Churros food review | C A N D A C E .
As seen on the title, today’s post is all about being crunchy on the outside and soft on the inside. I’ve never been to Paris but a fact for sure is that I’ve never had a good piece of churro until I’ve stumbled across this gem in town call Street Churros. 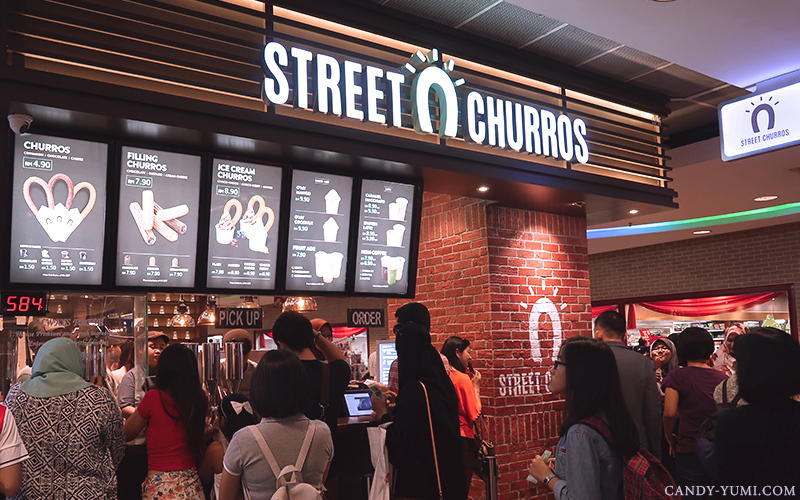 I’ve first came across Street Churros at 1 Utama but too bad my busy schedule forbids me to try it *sobs* Lucky for me, I got an invitation the other day to review their churros and drinks at their latest branch at Berjaya Times Square! 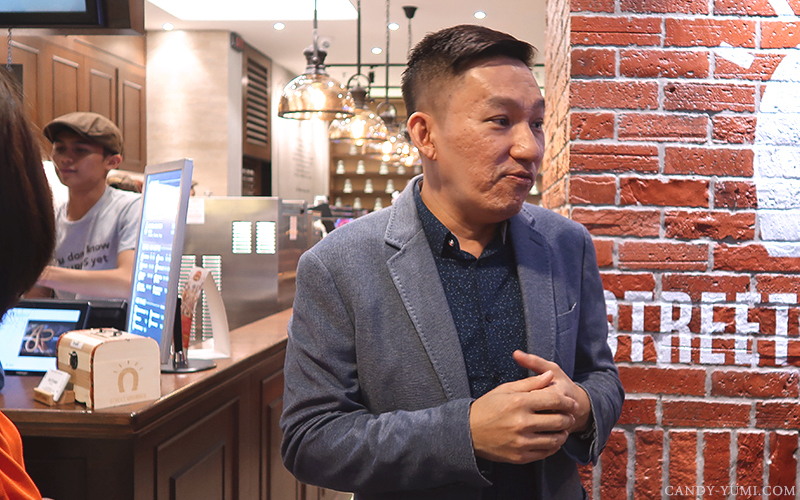 I got to Times Square around 3PM and our review session started with the owner of Street Churros, Dato’ Joe Tan giving us a brief introduction on Street Churros. 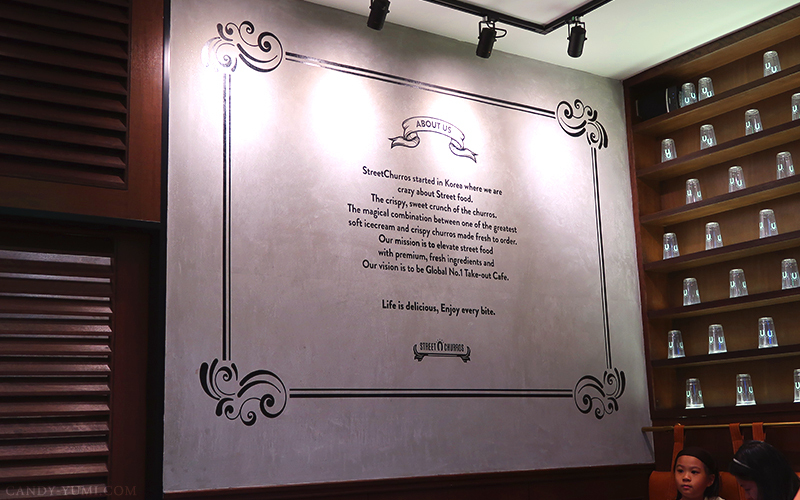 During the introduction, he had also shared with us the process of making the magic happen as well as introducing us to Street Churro’s best sellers. First to be introduced would be their churros. 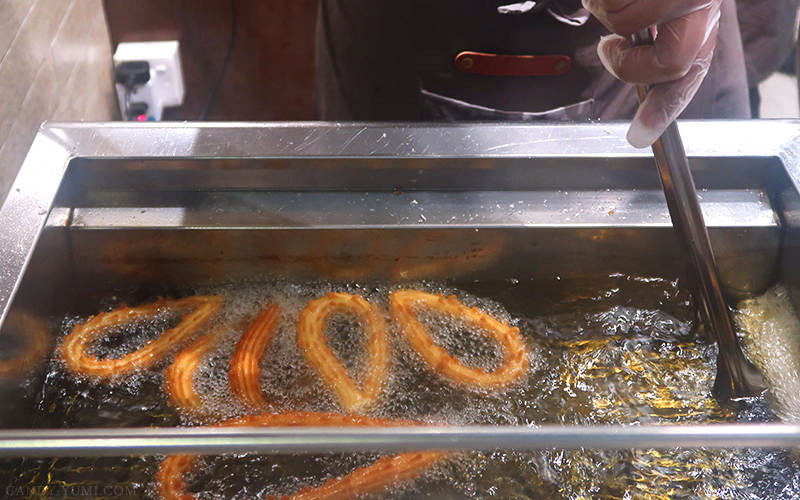 Because, Street Churros, right? 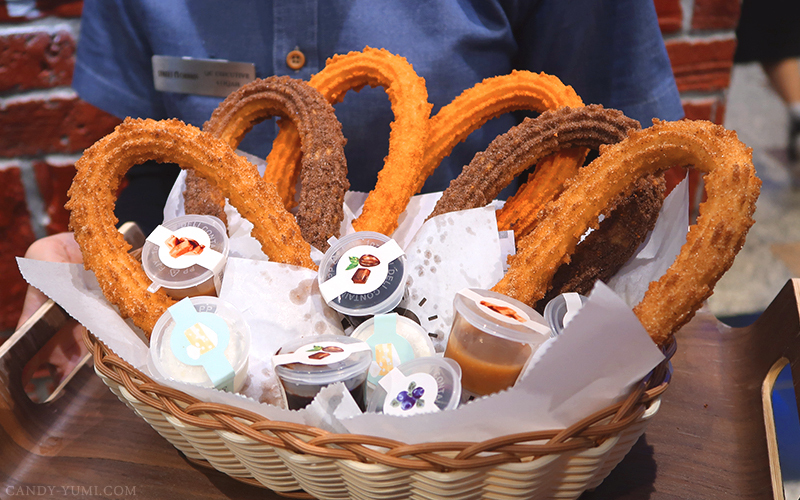 On the tray is their cinnamon, chocolate & cheese churro along with various dipping sauces. Dipping sauces available are chocolate, cream cheese, butter scotch, and blueberry. 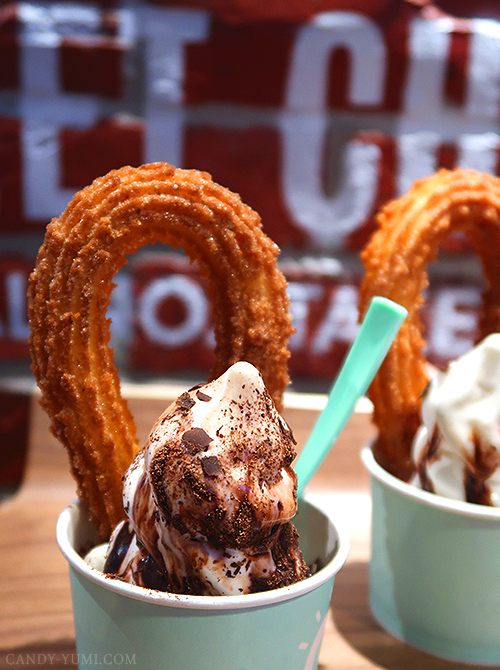 Their churros are selling for RM4.90 each while their dipping sauces are RM1.50 each. 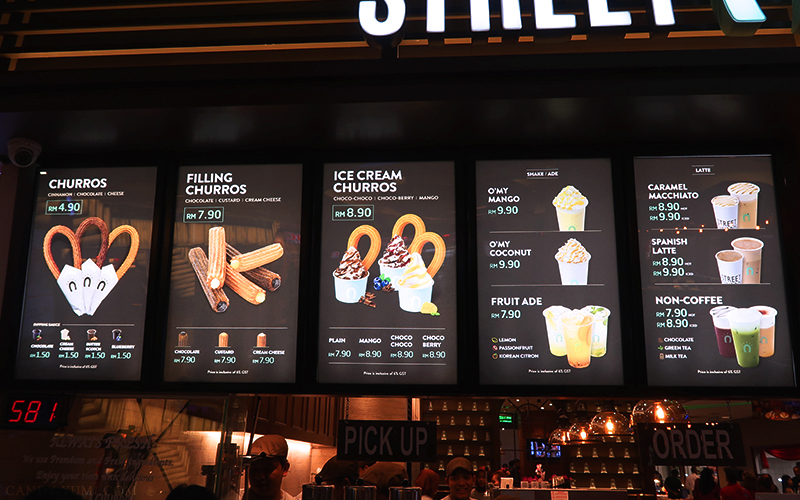 One thing you guys need to know is that Street Churros only serves fresh churros to their customers at an affordable cost! The machines and ingredients used are also imported :) It was quite fun seeing the machine produce fresh dough for the churro. 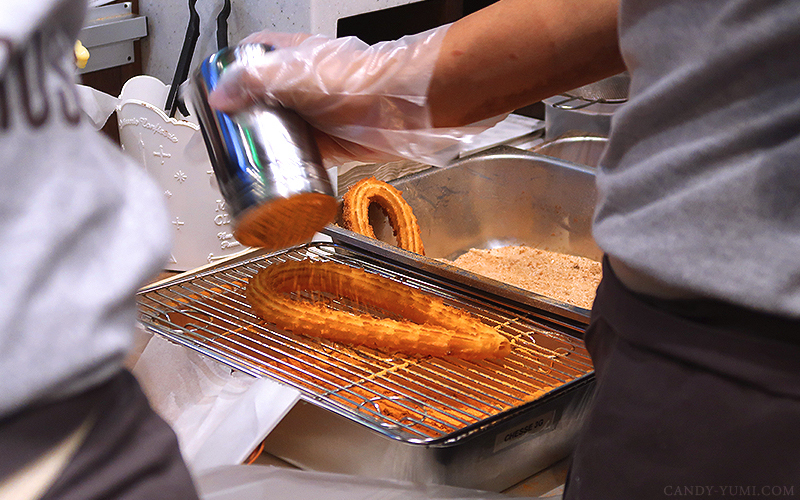 They have two machines to produce two shapes of churros – one is for the standard horseshoe churros, while the other is for filling churros. Once the produced dough meets the quality check for the perfect size & shape, they will be deep fried to a golden shade. After frying, the churros will be set aside on a tray to cool for a short while before going through the coating station. Churros will be coated either in cinnamon/chocolate/cheese flavoured powder. 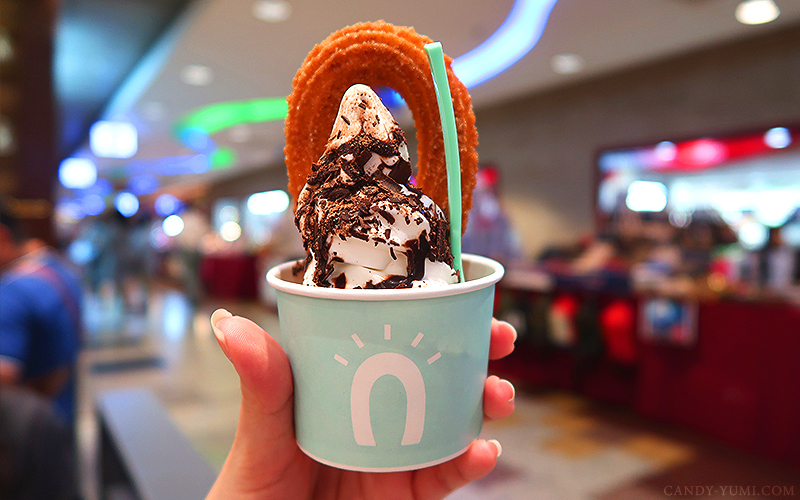 Original cinnamon churro with plain soft serve ice cream (RM7.90) Churros already tasted great especially when it’s warm. 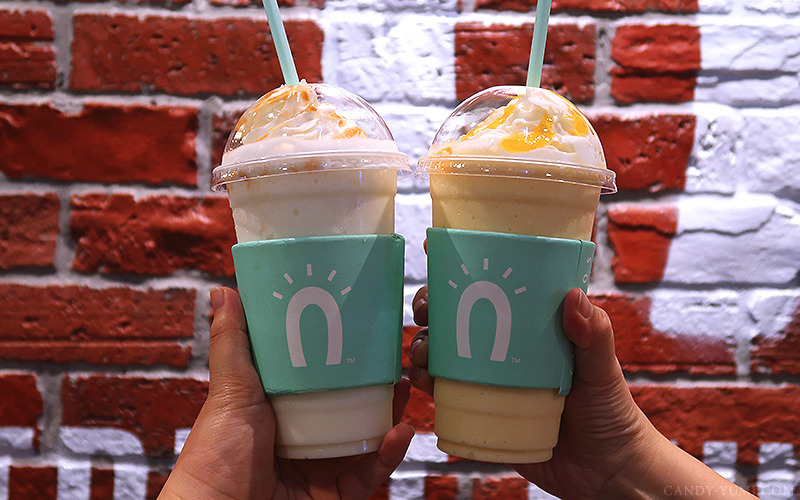 When you fuze a hot and cold dessert treat together, it just becomes the perfect duo. 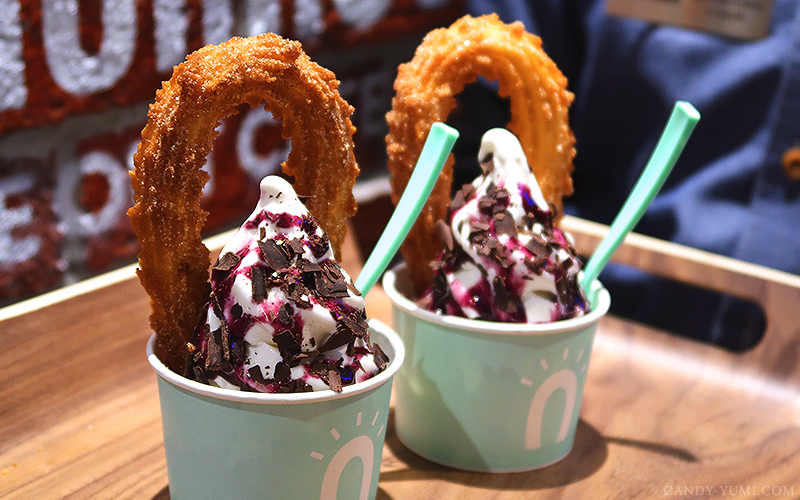 The Ice Cream Churros are also available in a variety of toppings to choose from namely – plain (RM7.90), mango, choco choco, and choco berry (RM8.90). 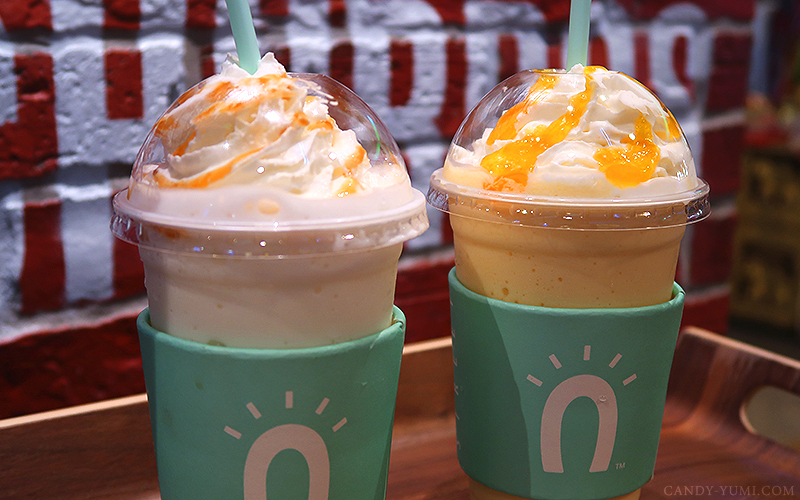 Next to be introduced was their Shakes. On the left we have O’My Coconut and on the right we have O’My Mango. Both RM9.90 each. Soon later we were given a paper to fill in the food and drinks we were interested to try. Trust me, I was really tempted to order EVERYTHING on the menu ok. Without any further ado, let’s see what I ordered! From left to right we have their Cinnamon, chocolate, & cheese churro! 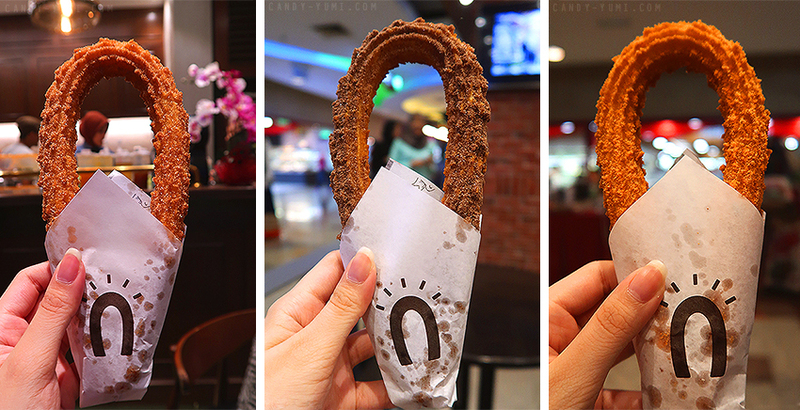 (RM4.90 ea) These churros are shaped as a horseshoe because it is believed that horseshoes bring good luck to you! So cute to think of that right! Plus for RM4.90 each I think it’s a pretty fair price. 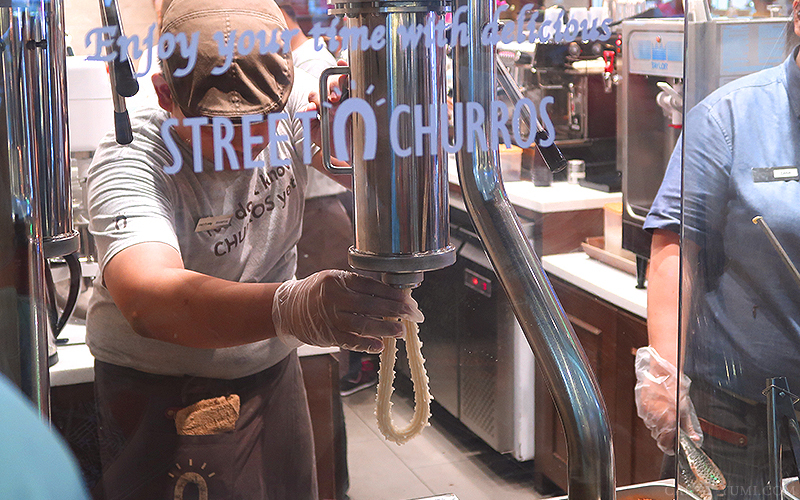 All their churros has the identical ‘crunchy on the outside, soft on the inside’ requirement checked. However, in terms of flavour, I find that their cinnamon sugar churro was the best. The balance of sugar and cinnamon ratio was just right for the perfect balance of sweetness. The Cheese Churro simply screamed childhood in my mind. You know our favourite cheesy childhood snack Cheezels? 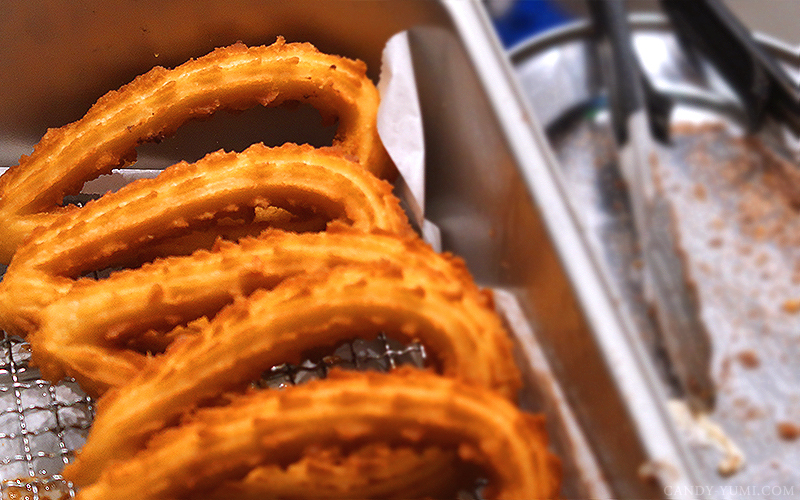 Now imagine that yummy cheesy goodness all over a warm piece of churro. Personally, this wasn’t my fav but I wouldn’t say that it’s a bad flavour either, so if you’re a fan of Cheezels, I guarantee you’ll love this. Their Chocolate Churro’s flavour was an interesting one. The typical chocolate churro will be coated in just basic chocolate powder & sugar but Street Churro elevates it with a touch of cinnamon flavour to it. I’m not sure if there is cinnamon in it but I do taste a faint cinnamon flavouring to it which does give off a refreshing vibe. I guess you could say this churro tasted like Christmas? :p Next up let’s welcome the filling churros. 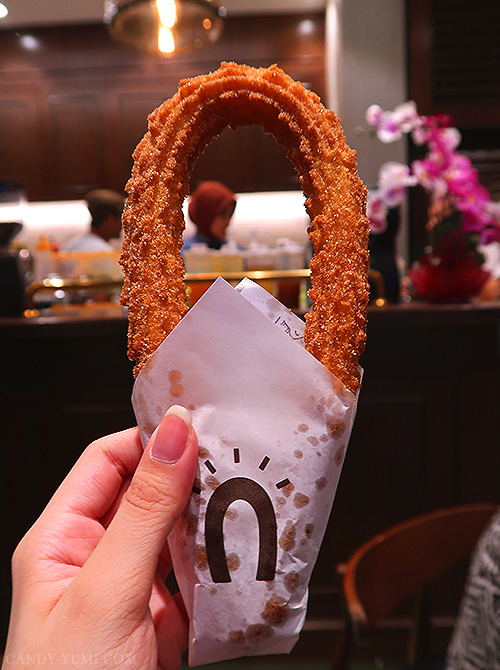 Filling churros are selling for RM7.90 each, available in three flavours to choose from. (Chocolate, cream cheese, and custard) I’ve decided to try two out of the three – Chocolate & Cream Cheese. 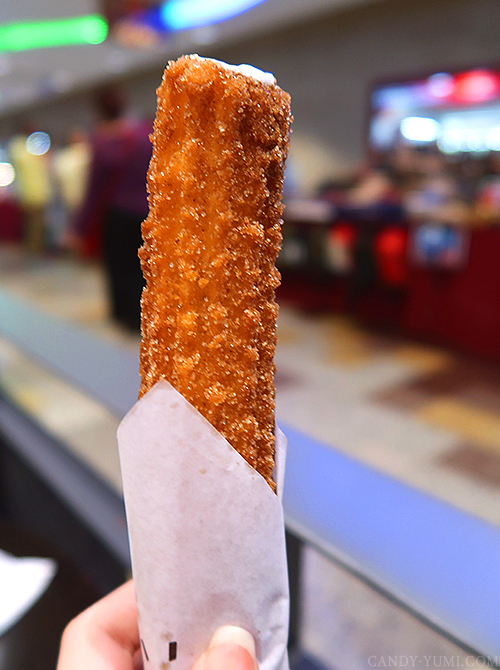 The photo above is their Cream Cheese Filling Churro. 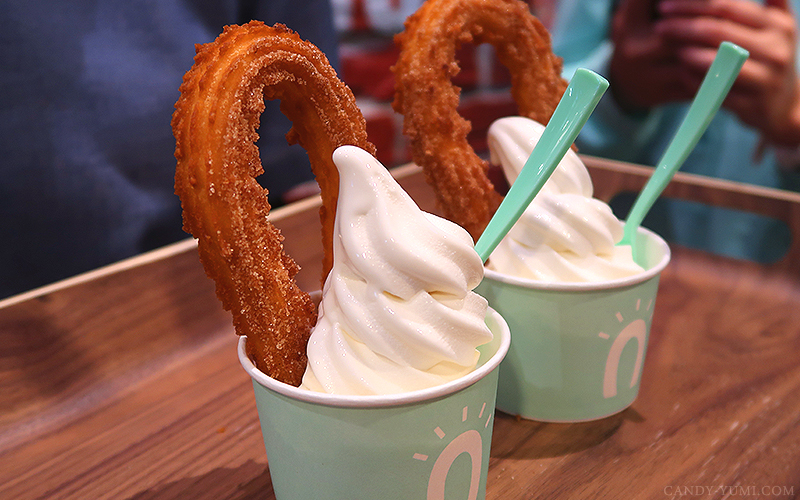 Because the churro is warm, the cream cheese was pretty messy to eat so just a heads up to get some tissues on hand if you’re planning to try this. If I wasn’t mistaken, the cream cheese churro is coated with cinnamon and sugar around it which surprisingly is quite a good match for the cream cheese filling. Here’s the Chocolate Filling Churro. 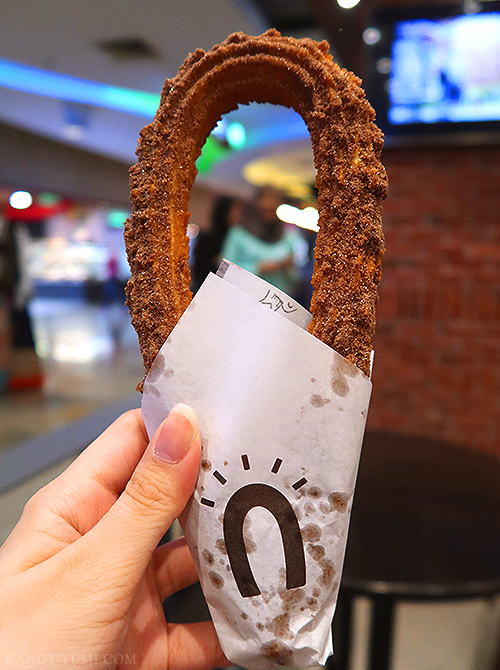 The churro on its own has the exact same crunch and coating as the chocolate flavoured horseshoe churros. Though with the addition of the chocolate filling, I personally find this combination a little too sweet for my liking. Though comparing this and the cream cheese one, I actually prefer this better haha! Now we have our last churro treat of the day, Ice Cream Churro! 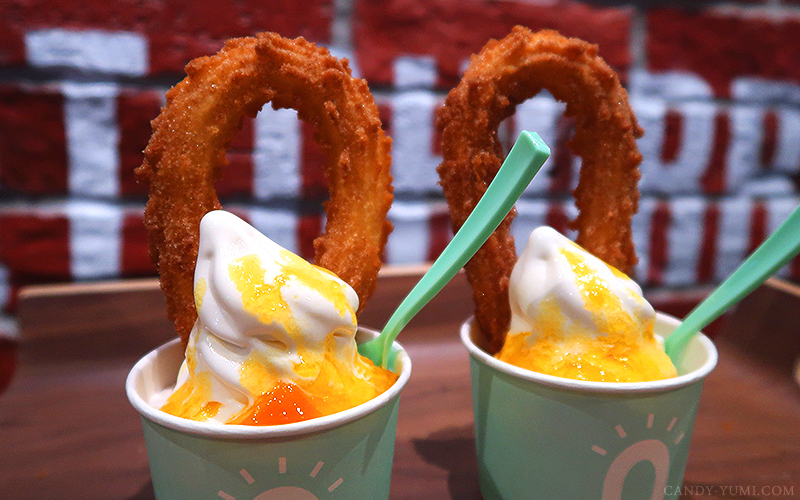 Their ice cream churros are available in 4 flavours – plain (RM7.90 ea), mango, choco choco, and choco berry (RM8.90 ea). 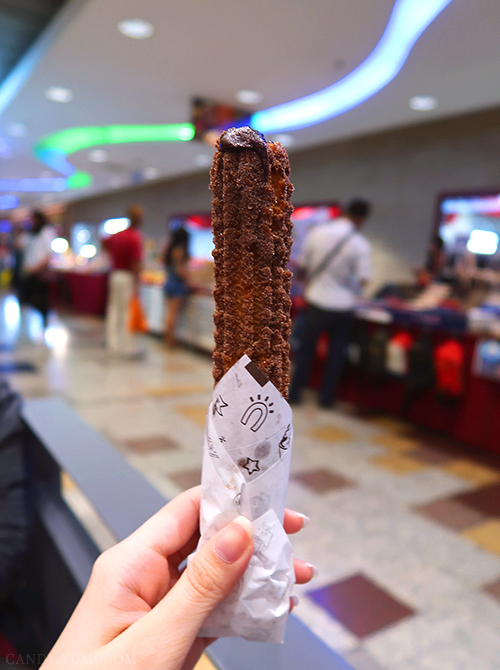 Being a chocolate fan, of course I chose to try Choco Choco Ice Cream Churro. The horseshoe churro was their cinnamon flavoured one which I think went well with this combination. This was one of the last churros served so at this point I was already very very full. Thankfully, the ice cream was a nice and light one. It had a very faint milk flavour to it and it wasn’t too sweet either so we managed to finish it despite being very full! Now that we have covered all the churros I’ve tried, of course we can’t miss out on the drinks, right? 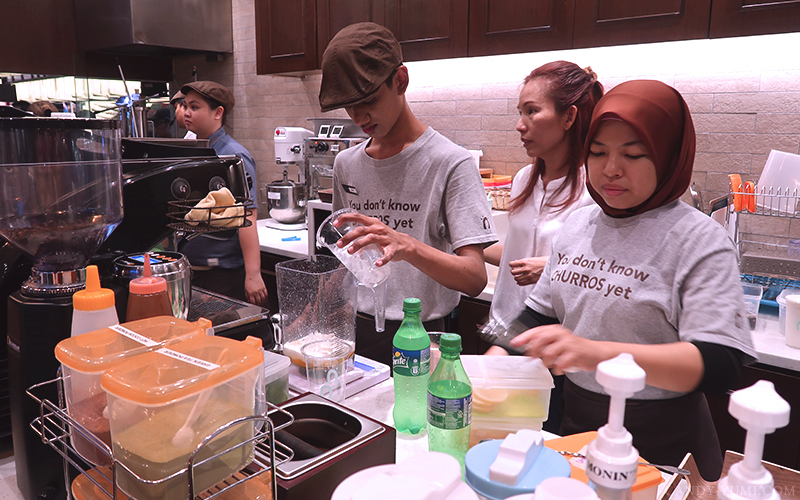 The one above is one of their top sellers – Iced Green Tea Latte (RM8.90 iced / RM7.90 hot) On such a hot day, I’ve opted for the iced cold option. 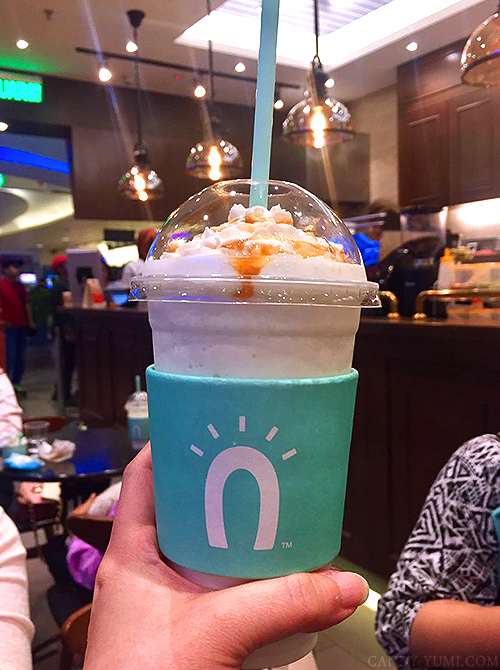 Before I talk about the drink itself, can we take a moment to appreciate the cup? 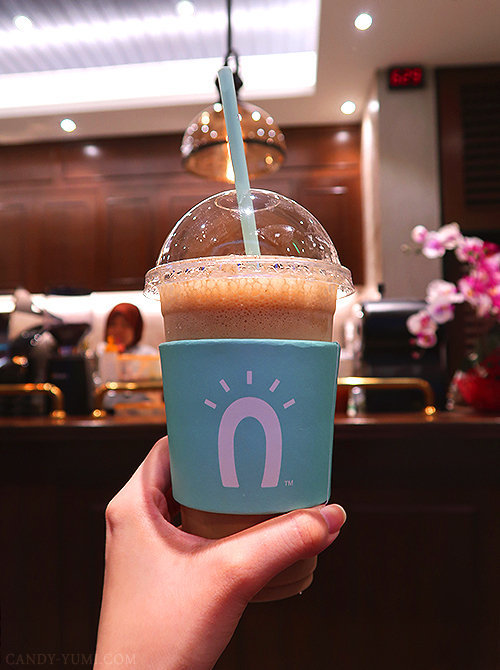 The blue Street Churro logo label around the cup is SUPER THICK and I find that super useful because you know when it comes to cold drinks, it gets pretty cold when you’re walking around the mall with it. If I’m walking around the mall with a cup of cold drink, I /have/ to wrap it with tissue and sometimes when you’re rushing also wrap until not pretty la haha. So basically in my opinion, this thick blue label (whatever you call it haha) looks great! + functionality on point. 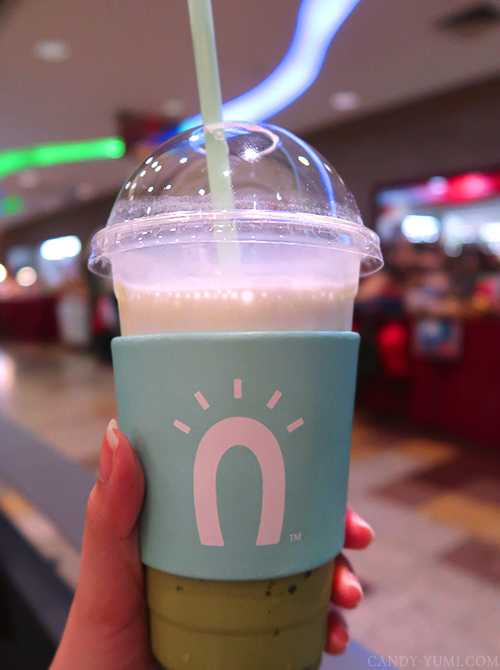 As for the green tea latte itself, I’ll say that the matcha taste is just right though personally I find the beverage a little too sweet. I’ll definitely grab one of these again but keep in mind to tell them to make a less sweet one instead. For RM8.90, I wouldn’t say it’s a very cheap beverage but looking from the point where it’s a decent size drink plus it’s an iced green tea latte I think RM8.90 for it is considered cheap in the market. 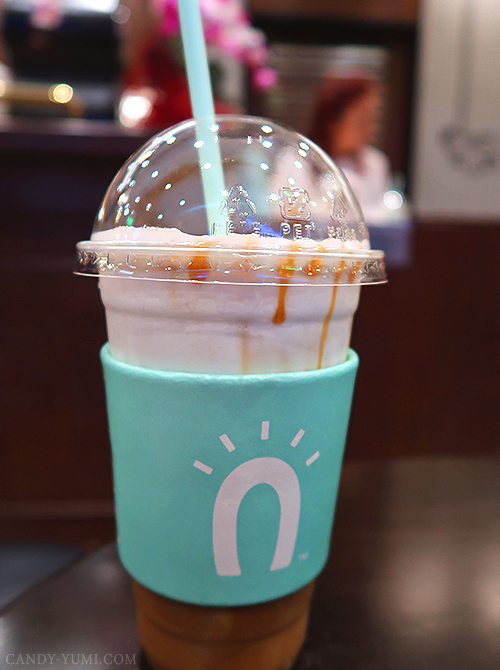 Caramel Macchiato. 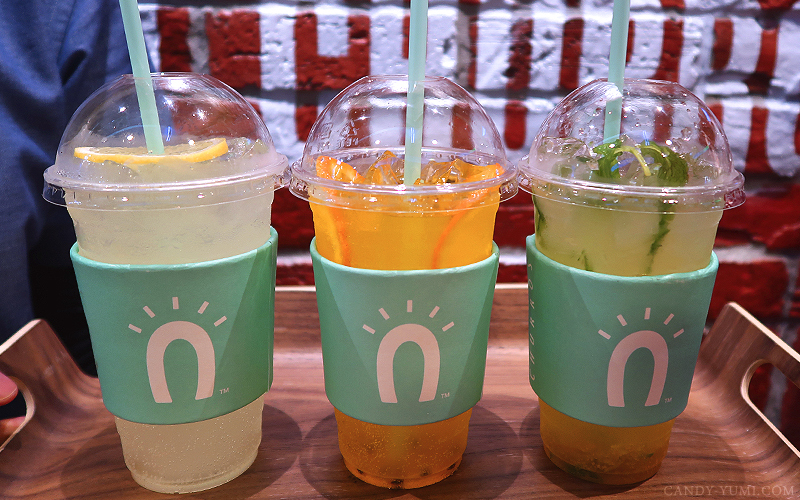 RM8.90 for hot and RM9.90 iced. This drink was not my cup of ‘latte’ as I personally find it a bit too sweet and too bitter for me. O’My Coconut – selling for RM9.90, this too was one of their best selling beverages and I can see why. 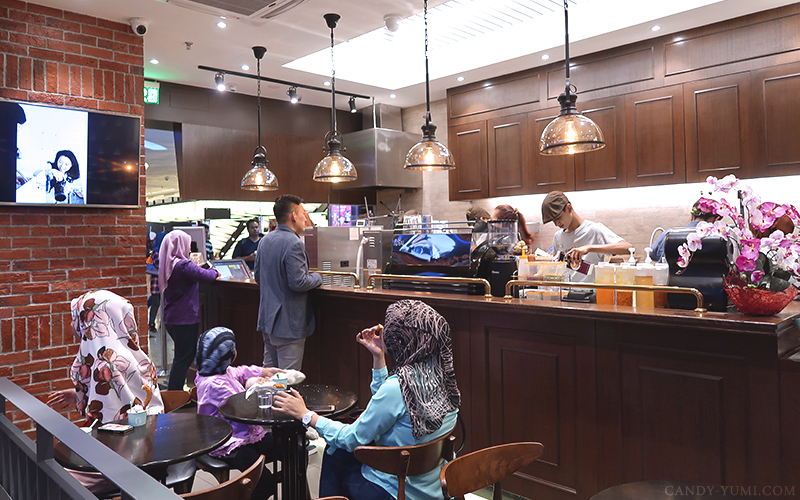 As Malaysians we all love a nice and chunky ice blended coconut shake to quench our thirst on a hot and sunny day. I really love this drink as you could actually taste the coconut in it, only thing was as it got to the bottom it tasted a little too sweet because I didn’t stir the caramel on top haha. 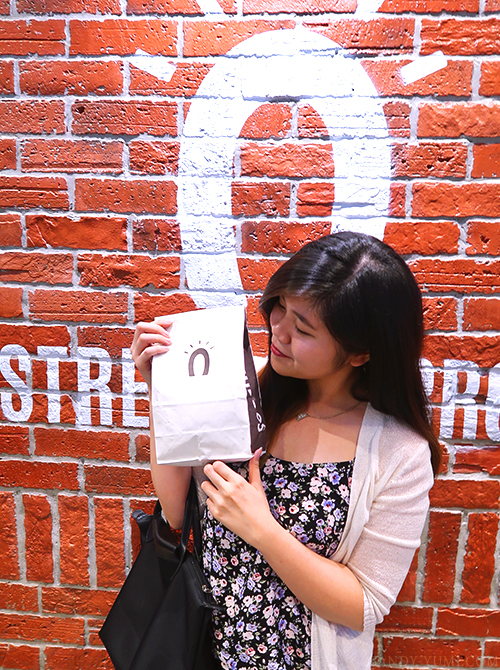 I was so full that I got myself a little paper bag to bring home any leftovers for my sister to try! (don’t waste food ok!!) Surprisingly after a few hours, the churros were still crunchy! Plus points ok. 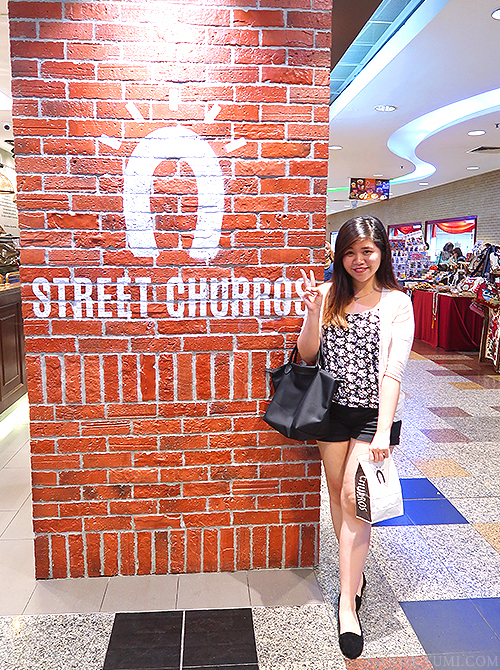 Thanks for the invitation Street Churros and I hope this review comes in handy for those planning to try Street Churros or are simply hunting for a yummy piece of churro that isn’t going to make your wallet cry! 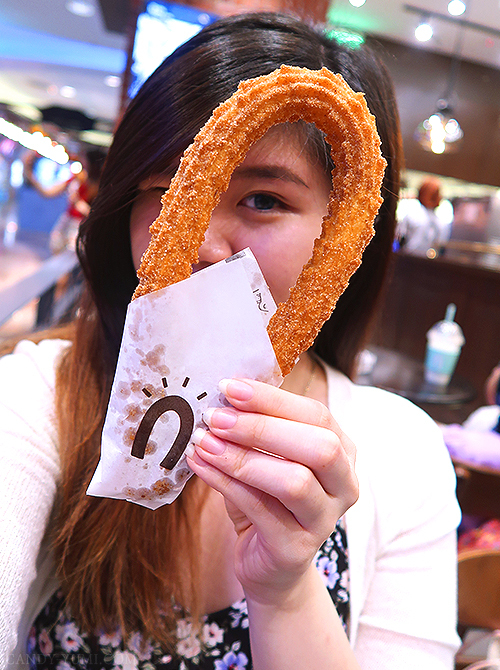 Don't forget to share this out to all your churro-kakis! 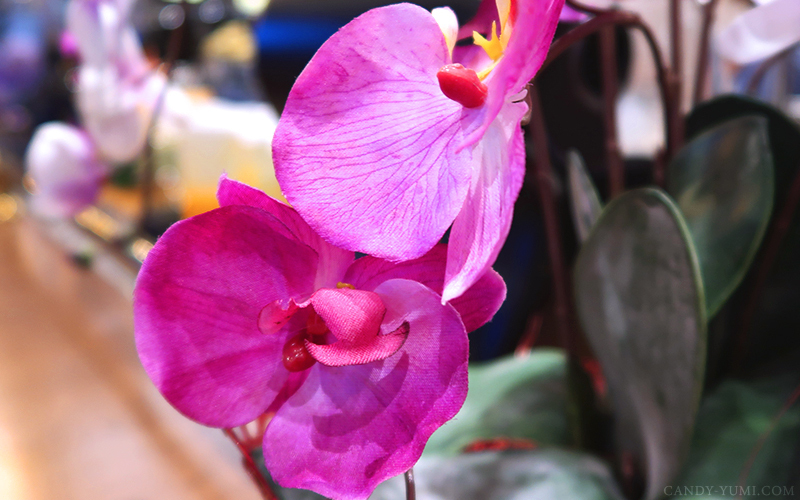 Oh and, Happy Chinese New Year!